Thanksgiving is a turning point in the garden year in the North. There is no denying that the only gardens we’re likely to tend from now until April are indoors or under plastic. It’s a good time for reading, taking classes and getting back to our day jobs. While there are lots of how-to books that we highly recommend, at this time of year I like to settle in with a garden memoir or two. Here are three you may enjoy, too. Happy Thanksgiving! 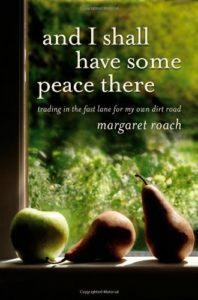 And I Shall Have Some Peace There by Margaret Roach (Grand Central Publishing, 2011). If you liked Eat, Pray, Love, you’ll love And I Shall Have Some Peace There. This memoir is the story of how Margaret Roach left a high-flying career as Martha Stewart’s top editor to focus on her garden on a farm in rural New York. Roach’s life is out-of-whack when the book starts, and she knows it. After trying a variety of ways to get some ballast, she quits her job and moves to her weekend house in Copake, N.Y. Roach is a wonderful writer, and while there are times when the reader can’t help thinking, “Oh, Margaret, get it together,” her humility and sense of humor carry you through. 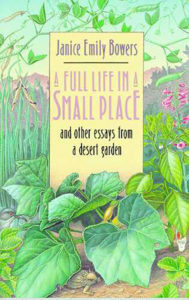 Roach’s other books are also worth a read, including Away to Garden (1998) and The Backyard Parables (2013). 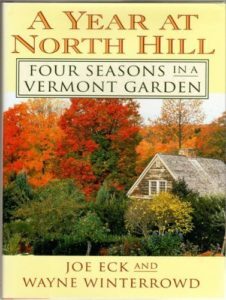 A Year at North Hill: Four Seasons in a Vermont Garden by Wayne Winterrowd and Joe Eck, (Holt, 1996), tells the story of a single year in the garden of Winterrowd and Eck, partners in the garden and life. It begins in April with the start of the garden season as the two men continue their transformation and care of 10 acres of gardens in rural Vermont. They bring skill, vision and lots of hard labor to the project. One big recommendation for A Year at North Hill is that Eck and Winterrowd garden in a four-season climate, not unlike ours. This is one of several books written by Eck and Winterrowd, including Living Seasonally (1999), about growing and cooking food in their kitchen garden. Sadly, Winterrowd died suddenly in 2010, though Eck has finished several of their book projects alone, notably To Eat (2013), which is described as part memoir, part cookbook, part garden guide. I’m putting that one on my winter list. I am a great fan of Gladys Taber and Hal Borland. They both lived in centuries old farm homes out East. Both of them had great reverence for the land. And better yet, for those that were here before us. If you need, like me, to harken back to a gentler time, try these authors. A few pages now and again and I can face anything. I do love Margaret Roach and need to check other authors. Thanks! And Happy Thanksgiving. I have not read Taber or Borland. I’ll put them on my list!